Expertenprofil von Prof. Dr. Christoph Rasche teilen! Challenging the future of management consulting: How to create sustainable client value in a dawning era of hyper-turbulence and hyper-competition? Univ.-Prof. Dr. rer. pol. habil. 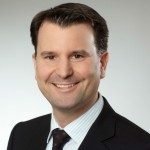 (Bayreuth), born 1965 in Münster, heads the chair of professional & corporate services at the University of Potsdam. Prof. Rasche adopted visiting professorships at the Universities of Innsbruck, Alcalá de Henares as well as the Hochschule Osnabrück. He teaches strategic and general management in national and international MBA-Programs with special respect to the healthcare and hospital industry. 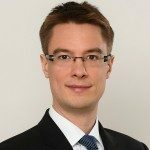 Formerly he consulted with Droege International AG and was co-founder of Stratvanguard and the General Management Institute Potsdam. Prof. Rasche’s research subjects circle around the field of strategic and general management in the healthcare and hospital sector, which witnesses an era of professional value creation by means of a strong management and leadership focus. Practically, he consults with healthcare players and is actively involved in executive trainings, ranging from corporate universities to MBA- and PhD-programs for healthcare professionals. What are your core competencies and professional passions? Translating theories into action. Translating strategies into business modells. Service-driven business development. Value management and corporate restructuring. 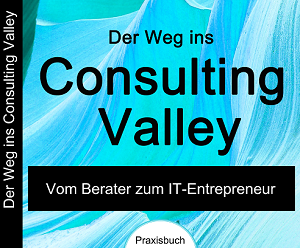 Consulting innovations. Gaining and sustaining competitive advantages. Strategic acumen and industry foresight. What are your objectives in your work? What drives you? Problem-driven management research. Imbuing students and ececutives with methodological excellence. Cooperating with leading practitioners. Making models and paradigms work. Strategic success factors of professional service firms. How do you perceive your role? I feel myself as a linking pin bridging strategy and consulting research with practical issues. Adopting the role of a management scientist and the role of consultant I want to bridge the knowing-doing-gap, when it comes to strategy implementation. Additionally, I should like to strike a balance between result-driven tool application and critical reflection processes on complex change management and restructuring processes. What was the most important lesson in your life? Turning resource disadvantages and competence shortcuts into strategic advantages by means of innovation, eager learning aspirations and self-confidence. Transferring my athletic skill set from marathon running and ironman triathlon to the business and consulting hemisphere. Being agile, open-minded and curious in an era of economic, societal, environmental, and technological hyperturbulence. Harnessing relational capital as source of networking and open innovation. Constant learning and competence development. What trends do you see in your field of business? Result- and performance-driven consulting. Strong implementation focus. Co-value creation by means of the client who may contribute significantly to the project success. Consulting companies as private equity firms, interim service companies and business process outsourcing specialists. „h3 four“ move may upwards towards the elite class of strategy consulting. Industry-specific and niche-focused consulting boutiques. Compliance-driven procurement of IT services. Dominance of consulting factories and BPO firms adressing cloud computing and cloud working issues. Social webs and media as real options for consulting firms. Technological competence as key success factor for consulting firms. Be straight, be tolerant, be fair. Zum Unternehmenseintrag „Universität Potsdam“ (falls vorhanden).